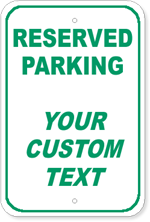 Custom Parking Signs - We make custom signs. 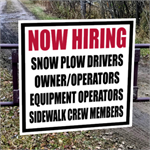 If you do not see a sign that fits your needs have us make a custom sign for you. 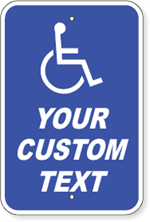 Featuring custom handicap signs and custom specialized parking signs. 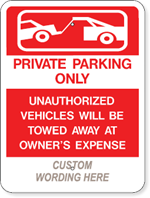 Our Custom Parking Signs are made from .080 Aluminum - This is HEAVY DUTY Aluminum Material. It meets all MUTCD requirements. 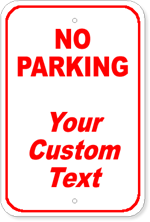 Don't be fooled by other companies selling inferior and thinner custom signs online. 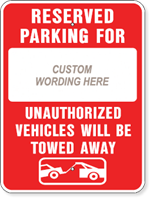 Custom no parking signs made from thinner Aluminum are more subject to being bent - during installation, thru accident, or vandalism. 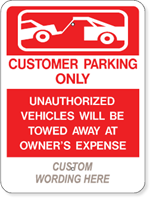 Make sure your custom aluminun signs are made from .080 Thick Aluminum - Don't settle for less. If .080 is not being advertised you will most likely receive a product of inferior quality. 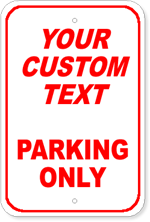 Large custom Aluminum signs.48 inches wide x 24 inches high. 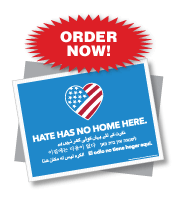 Can be installed on to a post, wall, or a fence. 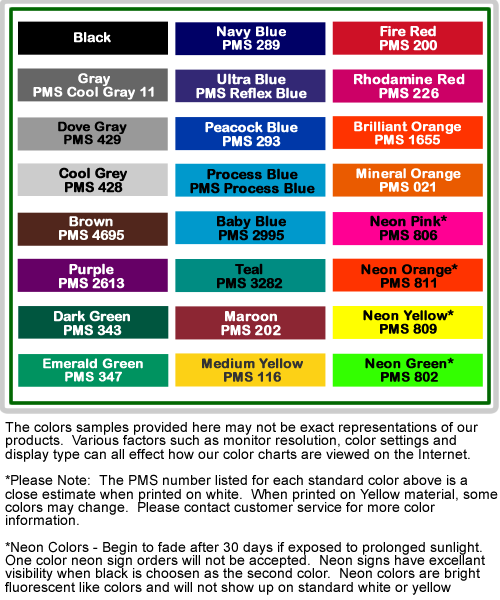 Signs are single Sided and digitally printed on .080 Aluminum. 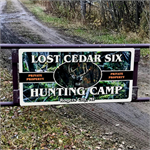 Large custom Aluminum signs. 48 inches wide x 48 inches high. 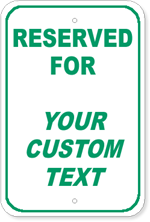 Can be installed on to a post, wall, or a fence. 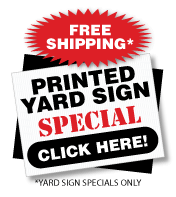 Signs are single Sided and digitally printed on .080 Aluminum.